FT. WORTH, TX � March 31, 2011 (Investorideas.com renewable energy/green newswire) - EVCARCO, Inc. (OTCBB:EVCA) announced today that its Executive Team will attend and represent the EVCARCO's Future Driven� brand in the Grand Opening of the Dezer Collection Museum and Pavilion in North Miami, Florida on April 1st. The museum is located at 2000 NE 146th Street in the North Miami. The Gala will host the elite of Southern Florida and will present EVCARCO to a highly important base of new clients and automotive aficionados. The facility has on display over 600 vintage and exotic vehicles in a 250,000 square foot building that includes a food court for hosting gatherings. For more information on the museum, please visit www.dezercollection.com. Mack Sanders, CEO of EVCARCO, stated, "EVCARCO has the privilege of working with a legend like Mr. Dezer. His interest in the automotive sector coupled with his business skills has made him a great mentor to EVCARCO; working with him, we feel that a launch of our brand on grand scale is imminent." March 31, 2011 (Investorideas.com renewable energy/green newswire) Investorideas.com a leader in cleantech investor research, reports on electric car stocks and battery stocks news and trading. Tesla Motors, Inc.(NasdaqGS: TSLA) began an uptrend Thursday following Morgan Stanley upgrading it overweight from equal weight. The stock is trading at $27.65, up $3.94 (16.62%) 10:43AM EDT in morning trading. Tesla's goal is to produce a full range of electric cars, from premium sports cars to mass-market vehicles - relentlessly driving down the cost of electric vehicles. It is currently the only automaker in the United States that builds and sells highway-capable EVs in serial production. Palo Alto, California-based Tesla designs and manufactures EVs and EV powertrain components. Tesla has delivered more than 1,500 Roadsters to customers in North America, Europe and the Asia Pacific Region. The Tesla Roadster accelerates faster than most sports cars yet produces no emissions. Point Roberts, WA - March 30, 2011 - Investorideas.com, a leader in cleantech stock research, releases a trading alert for wind stock, Clean Wind Energy Tower, Inc (OTCBB: CWET). The stock is trading at $0.25, up $ 0.03 (13.64%) in morning trading. The Company recently announced it filed with the United States Patent & Trademark Office "A Petition to Make Special under Accelerated Examination Program," a patent application titled Efficient Energy Conversion Devices & Methods. The application covers specific aspects of deploying multiple turbines in a wind tunnel coupled to a novel hydraulic system capable of maintaining high efficiency hydraulic to electric conversion under a wide variance of wind speeds. The ultimate goal is to maximize the capture and utilization of all available wind energy in any given wind tunnel, as well as providing a consistency of power output during deviations in wind speed. Clean Wind Energy, Inc. a wholly owned subsidiary of Clean Wind Energy Tower, Inc, is designing and preparing to develop, and construct large “Downdraft Towers” that use benevolent, non-toxic natural elements to generate electricity and clean water economically by integrating and synthesizing numerous proven as well as emerging technologies. In addition to constructing Downdraft Towers in the United States and abroad, the Company intends to establish partnerships at home and abroad to propagate these systems and meet increasing global demand for clean water and electricity. March 29, 2011 (Investorideas.com renewable energy/green newswire) Investorideas.com a leading global investor and industry portal covering the green and renewable energy sector reports on electric car stocks and battery stocks news and trading. Oil is trading at $104.80 +0.82 +0.79%. Electric car stock, EVCARCO (OTCBB: EVCA) (www.evcarco.com), is currently trading at $0.0270, up 0.0085 (45.95%). New York, NY, Point Roberts WA, March 29, 2011 � Investorideas.com, a leader in cleantech investor research features a recent interview with Josh Levine of the MicroCap Investor newsletter, discussing cleantech investment strategies. Rising oil prices and the recent nuclear disaster in Japan have created renewed interest in the cleantech sector that some analyst think is the real thing and here to stay .In an environment of rising oil prices, Levine sees major investment opportunities in Cleantech. Josh discusses his recent addition to his portfolio and why and his overall strategy for finding cleantech plays in the microcap markets. Josh, with oil prices surging above $100, cleantech is getting a lot more attention again from Wall Street and independent investors. I know you look at the long term investment picture, so what do you think is driving cleantech and what is your outlook for opportunities in this sector? Let's first qualify what is meant by the term cleantech. Cleantech is often used interchangeably with green technologies and alternative energy, but it seems to be the one that's emerged to encompass all these things. 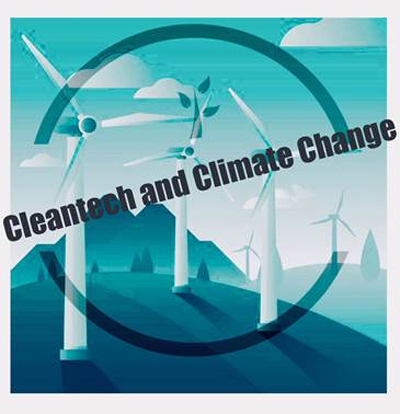 Cleantech essentially covers technologies that are more energy-efficient than conventional technologies and offer more environmentally-friendly alternatives to fossil-fuel-driven energy applications. Broadly speaking, the world is always moving towards more efficient use of resources. Year after year and decade after decade, we manage to get more out of a given amount of resources. The first industrial revolution was powered by coal and though it provided tremendous gains in production, the pollution negatively impacted the quality of life and health of millions of people. You recently just added a new cleantech stock to your portfolio. Can you give us some insight as to what qualified this particular stock based on your investing model? My latest recommendation in unusual company which has developed and commercialized environmentally safe alternatives to plastics used for food containers, utensils, product wraps, as well as a wide range of parts in autos and many other things. Importantly, it meets all of my most important criteria for a great microcap investment. As a cleantech play, this company's biodegradeable and completely safe products can replace petroleum-based polypropylene packaging. The result is less use of oil and a better outcome for the environment. It's a strong proposition. It's a classic microcap story with all of the fundamentals in place for soaring growth -- a unique technology platform that's been validated by major customers worldwide, an experienced and proven management team , and powerful market drivers bolstered by increasing demand. This company is addressing markets representing annual sales in the tens of billions of dollars, it has proven technology and products that are being rapidly adopted by large corporate customers, it has manufacturing capacity to scale several times current production, and its products are already on parity with polypropylene now that oil prices are north of $100. In 2010, sales revenue for this company was $6.3 million, a 133% increase versus 2009, and projected revenue for the 2011 full year is between $24 million and $32 million -- a whopping 300% to 400% increase over 2010! With all this going for it, this company is still valued well below $100 million. That's the kind of microcap opportunity I absolutely love! What percentage of your portfolio is in the cleantech space currently and are you looking to add more companies in the space over this year? About one-third of the MicroCap Investor portfolio is devoted to cleantech companies, and I've got several top prospects in my sights. It's tough to predict, but I suspect I'll be adding at least a couple of more cleantech plays to our portfolio this year. It's really a matter of quality, not quantity, and I am extremely bullish on the current group we have today. Still, cleantech is a ripe sector and it will yield tremendous opportunities year after year for a very long time. Every growth-oriented investor should make sure a healthy portion of his or her equities portfolio is allocated to cleantech. Levine's MicroCap Investor delves deep into the world of small stocks to identify big winners, targeting innovative companies on the path of the new and revolutionary. The strategy for MicroCap Investor is simple: to focus on small, innovative companies representing the best pure plays in the fast-growing waves of change in biotechnology, cleantech, and emerging IT. Levine has 25 years of senior-level experience in analyzing technology trends and investing in top-performing micro- and small-cap stocks. He excels at assessing management teams and evaluating new innovations and their impact on corporate valuations. InvestorIdeas.com has partnered with Josh Levine and MicroCap Investor as part of its mission to provide investors with research tools to explore the world of small stocks. The InvestorIdeas.com team operates this web site and manages the administration and marketing for MicroCap Investor. InvestorIdeas.com is a leading investment and industry research portal, with resources covering high-growth sectors including technology, biotech and cleantech. Point Roberts, WA - March 28, 2011 - Investorideas.com, a leader in cleantech stock research, reports on recent wind stocks news and developments for wind stocks. New wind stocks were recently added to the NASDAQ OMX Clean Edge Global Wind Energy Index. Wind stocks and solar stocks continue to be in the spotlight with investors looking for alternatives to nuclear power and oil. Oil is trading at $104.43 -0.97 -0.92%. ANNAPOLIS, MD - March 7, 2011 (InvestorIdeas.com Newswire) - Clean Wind Energy Tower, Inc. (OTCBB: CWET) announced that the Company had filed with the United States Patent & Trademark Office "A Petition to Make Special Under Accelerated Examination Program," a patent application titled Efficient Energy Conversion Devices & Methods. The application covers specific aspects of deploying multiple turbines in a wind tunnel coupled to a novel hydraulic system capable of maintaining high efficiency hydraulic to electric conversion under a wide variance of wind speeds. The ultimate goal is to maximize the capture and utilization of all available wind energy in any given wind tunnel, as well as providing a consistency of power output during deviations in wind speed. Global Wind Energy Index (Nasdaq:QWND), which will become effective with the market open today. The following four securities will be added to the Index: ABB Ltd (ABBN VX), Broadwind Energy, Inc. (BWEN UQ), Enel Green Power S.p.A. (EGPW EB), and China Ming Yang Wind Power Group Limited (MY UN). The Index is designed to act as a transparent and liquid benchmark for the global wind energy sector. The Index includes companies that are primarily manufacturers, developers, distributors, installers, and users of energy derived from wind sources. The securities must also meet other eligibility criteria which include minimum requirements for market capitalization and average daily dollar trading volume. The NASDAQ OMX(R) Clean Edge(R) Global Wind Energy Index is evaluated semi-annually in March and September. For more information about the NASDAQ OMX(R) Clean Edge(R) Global Wind Energy Index, including detailed eligibility criteria, visit https://indexes.nasdaqomx.com/. The NASDAQ OMX Clean Edge Global Wind Energy Index is the basis for the PowerShares Global Wind Energy Portfolio (Nasdaq:PWND - News), which seeks investment results that correspond generally to the price and yield of the NASDAQ OMX Clean Edge Global Wind Energy Index before fees and expenses. As a result of the evaluation, the following four securities will be removed from the Index: Japan Wind Development Co., Ltd. (2766 JT), ABB Ltd -- ADR (ABB UN), Endesa SA (ELE SM), and Enel SpA (ENEL IM). NASDAQ OMX Global Index Group is engaged in the design, development, calculation, licensing, and marketing of NASDAQ OMX Indexes. NASDAQ OMX Global Index Group specializes in the development of indexes focusing on NASDAQ OMX's brand themes of innovation, technology, growth, and globalization. NASDAQ OMX Global Index Group also provides custom index services and design solutions as a third-party provider to selected financial organizations. For more information about NASDAQ OMX indexes, visit www.nasdaq.com/indexes. Broadwind Energy (NASDAQ:BWEN ) applies decades of deep industrial expertise to innovate integrated solutions for customers in the energy and infrastructure markets. From gears to wind towers, to comprehensive remanufacturing of gearboxes and blades, to operations and maintenance services, and heavy industries, we have solutions for the energy needs of the future. With facilities throughout the U.S., Broadwind Energy's talented team of more than 800 employees is committed to helping customers maximize performance of their investments—quicker, easier and smarter. Find out more at www.bwen.com. March 25th. As markets give investors another positive trading day, the sector shows strength. 15,000 locations across America and in 8 countries worldwide. the proven ability to bring the idea to market. propagate these systems and meet increasing global demand for clean water and electricity. ANNAPOLIS, MD - March 7, 2011 (InvestorIdeas.com Newswire) - Clean Wind Energy Tower, Inc.
providing a consistency of power output during deviations in wind speed. links. Investors can follow solar stocks commentary on our site with solar expert, J. Peter Lynch. documents and/ or the company and its management and is not the opinion of Investorideas.com. Point Roberts, WA - March 18, 2011 (Investorideas.com renewable energy/green newswire) Investorideas.com a leader in cleantech investor research, reports on electric car stocks and battery stocks trading for March 18th. A recent report by IDTechEx calls the hybrid and EV cars the new gold rush 2011- 2021. With higher oil prices, the sector has had some ups and downs, with the overall market volatility. Long term- the green car enthusiasts are bullish. Just like the cars, most of the stocks in the sector are trading up and in the green this morning. "Hybrid and Pure Electric Cars 2011-2021" and "Car Traction Batteries - The New Gold Rush 2011-2021"
Good volume growth but greater value growth The 30.6 million EVs sold in 2011 will rise to 51.3 million in 2021 but the value of the market will grow by far more because larger and more expensive vehicles are now rapidly adopting the technology. Motorcycles, military vehicles, buses and earthmovers are among them. Hybrids will rise from about 50% to about 60% of the value market through the decade. In ten years from now, a far higher percentage of the global output of light industrial vehicles, commercial vehicles and cars will be EVs. The new report gives the detail, forecasting numbers, unit value and total market value for each applicational sector with many original tables giving subsets of the data and a large number of profiles of current and planned activities of the participants. Some EV sectors were hit by the global financial meltdown but are recovering. Many sectors now benefit from the tsunami wave of government benefits, technical innovations and new models becoming available. We evaluate these aspects and the market drivers, including what users really need. Battery, motor and other technology is explained and forecasted as well. This report "Electric Vehicles 2011-2021" is a sister report to IDTechEx reports about the two most important subsectors of the EV business - "Hybrid and Pure Electric Cars 2011-2021" and "Car Traction Batteries - The New Gold Rush 2011-2021". NRG Energy, Inc., a Fortune 500 and S&P 500 Index company, owns and operates one of the country's largest and most diverse power generation portfolios. Headquartered in Princeton, NJ, the Company's power plants provide nearly 26,000 megawatts of generation capacity—enough to supply more than 20 million homes. NRG's retail businesses, Reliant Energy and Green Mountain Energy Company, combined serve more than 1.8 million residential, business, commercial and industrial customers. With investments in solar, wind and nuclear power, as well as electric vehicle infrastructure, NRG is working to help America's transition to a clean energy economy. NRG Energy is a founding member of the Electrification Coalition, a nonpartisan, not-for-profit group of business leaders committed to promoting policies and actions that facilitate the deployment of electric vehicles on a mass scale. More information is available at www.nrgenergy.com. eVgo is the nation's first privately funded, comprehensive electric vehicle ecosystem. The eVgo network gives EV owners new freedom and range confidence via home charging and fast-charging stations conveniently located at major retailers, employers and along highways across eVgo cities. eVgo allows EV owners to avoid paying large up-front costs for a home charger and provides unlimited use remote charging—all for one low monthly fee. To find out more, or to join the eVgo network, visit www.evgonetwork.com. FT. WORTH, TX - March 17, 2011 (Investorideas.com renewable energy/green newswire) - EVCARCO, Inc. (OTCBB:EVCA) announced that the Ft. Worth Auto Show at the Ft. Worth Convention Center opened today and runs through Sunday. EVCARCO is displaying its current green vehicle offerings in the Green Exhibitor Section, which is dedicated to eco-friendly products. Mack Sanders, CEO of EVCARCO, stated, "With current government regulations and the need for compliance in the area of commercial units, EVCARCO is especially proud to present CNG Units to both Government and commercial clients. The ability for a fleet to reduce emissions, reduce hard costs for fuel and the ability to present an environmentally friendly fleet is significant for our Company." The Company will also be exhibiting its current line of electric vehicles, charging stations, and CNG Units at the Dallas Auto Show, April 7th-10th at the Dallas Convention Center." sector. Investors have been turning to renewable stocks this week following the nuclear disaster in Japan. today’s trading, the renewable energy sector is in the green. long run- and the short term spike may just be the beginning of a bull run for green investors. environmental disaster after another, the push for clean energy is global. doubling of capacity every two years, up from a doubling every three years over the last decade. compared with the 70 million automobiles the world produces each year. FT. WORTH, TX - March 15, 2011 (Investorideas.com renewable energy/green newswire) - EVCARCO, Inc. (OTCBB:EVCA) (Pinksheets:EVCA) announced today that well known electric vehicle marketing expert, Richard H Griffiths, has accepted the position of Chief Communications Officer. Mr. Griffiths, http://en.wikipedia.org/wiki/Richard_H._Griffiths, is an electric vehicle marketing expert as well as a Senior Government Advisor for the U.S. State Department, Government of Colombia, Republic of Tanzania and the Kingdom of Thailand. He will develop strategic relationships with governments, Hollywood celebrities and persons of influence in North America and globally. Mr. Griffiths has been successful in getting electric vehicles on media shows such as Regis and Kelly, FOX, CNN and was featured on the History Channel as one of the early pioneers of electric vehicles. Mack Sanders, CEO of EVCARCO, stated, "Richard's work in getting New York City to place electric powered taxi cabs throughout the City, as well as his placement of electric smart cars for sale through Sam's Club, has earned him a reputation in the alternate fuel industry. Having Richard head up the Ambassador of Sustainability� program will enable us to have a dialogue with Hollywood stars and will give our brand the attention required to get consumer and investor interest." Mr. Griffiths stated, "It is an honor to be associated with EVCARCO. The team assembled at EVCA has a high level of experience in this field and will be focused on bringing the very best alternative energy vehicles to market." NRG is working to help America’s transition to a clean energy economy. eVgo is the nation’s first privately funded, comprehensive electric vehicle ecosystem. are working to make more data available. inform us of any corrections. electric vehicle. Happy green driving! the site 500,000 144 shares in lieu of cash compensation. each of our solar stocks. This is updated weekly and also whenever there are any significant changes. Note: At this time there is a general market comment – continue to advise caution at this time. that no new positions should be taken. and triggered a sell signal. signal for the balance of the position. position. A long term sell signal would occur at $19.5. LDK – an initial sell signal at $12 with a long term signal generated at $9. SOL - Long term support @ $7.5 - Sell @ $7. SPWRA - Long term support @$13.5 – sell @$13. TSL – Short term sell @ $25- long term support @ $20. WFR- Long term support @ $11.5 - sell @ $11. YGE – Sell @ $11. market. Very few good things have ever happen from these levels historically. initiate positions unless you are a shorter term trader and watch the market very closely. stocks that turn to a positive trend first are usually the strongest stocks relative to the group as a whole. momentum turns positive, when it goes BELOW the 5 week MA the weekly momentum turns negative. that the individual stock is stronger relative to the index and vice versa. change of rating for that stock. will give you NO indication of the best time to buy the stock. which will indicate a time to buy or a time to sell. SOLARJPL@aol.com. Please visit his website for the promotion of solar energy – www.sunseries.net.